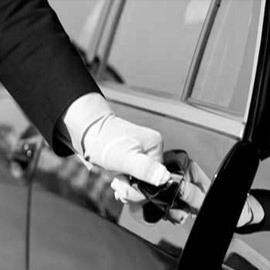 At ClockTower Cars, we offer a private hire vehicle service that charges at the lowest possible rates and works within your busy schedule to help you relax. Whether you need to attend a series of meetings, require assistance in reaching your airport, or want to visit Twickenham, ClockTower Cars can make your journey relaxed and stress-free. Twickenham is considered the home of rugby union and makes a great place for any enthusiast to visit, even when there isn’t a game on. Thousands of avid rugby fans flock to Twickenham throughout the year to visit Twickenham Stadium, which is the largest rugby stadium in the world. Sightseers will enjoy strolling through Twickenham, bearing witness to some of the gorgeous period mansions and pleasure grounds throughout the area, including Marble Hill, York House and Strawberry Hill House. At ClockTower Cars, we want all of our customers to feel as comfortable as possible. Our fleet of comfortable and reliable vehicles includes something for everyone. Whether you’re heading into town or you need a transfer to one of London’s many airports, we’ve got you covered. 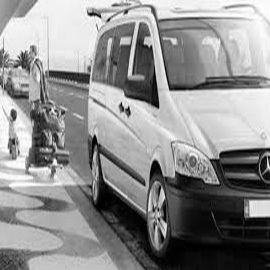 Each of our drivers is highly skilled and able to determine the best possible routes. Whether you need to get somewhere in a hurry, want to make a few different stops, or just want to relax and enjoy a more scenic route, your driver’s area knowledge will ensure you have an enjoyable ride. We take all of the stress out of travelling, giving each of our customer’s complete peace of mind even when they have a tight schedule to meet. We even make booking the journey straightforward and simple, with our very own ClockTower Cars app. This free app lets users quickly book their journey with us and makes organising travel arrangements hassle-free. 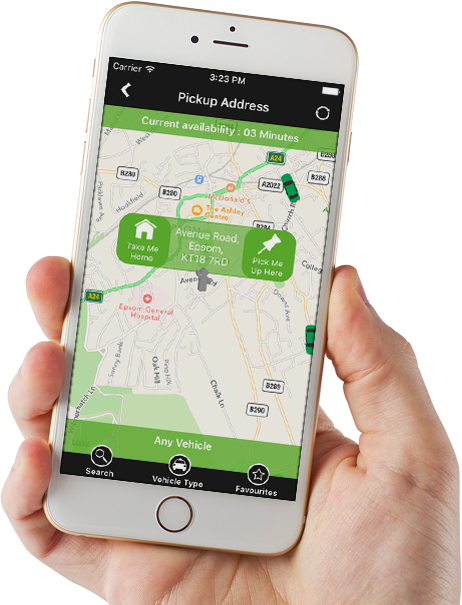 The app allows you to book your journey, select a preferred vehicle, stay updated with the latest ClockTower Cars service news and even track your chauffeur as they make their way to you with the included GPS technology fitted within each vehicle. The app is available to download for both iOS and Android devices. You can book your journey with us today using the ClockTower Cars app, or you can click here to book online. To book over the phone, you can reach us on 0203 388 9999. When I had two important meetings to attend on either side of Sutton I worried that I wasn't going to be able to make them both, but ClockTower Cars were so quick that I kept on my schedule with no stress. Me and my friends got to see all of the coolest areas of London thanks to ClockTower Cars.The cars were always so comfy to ride in. I'll be using them next time I'm down in London. I always choose ClockTower Cars when I am in Twickenham because the drivers always know exactly where I want to go and get me there quickly. ClockTower have never let me down in the past, which is why they’re my first choice of chauffeurs when I’m in Twickenham. I love the relaxing feeling of each ride.